If you´re looking to move to Oklahoma City or if you are looking for an upgrade, you need to research your options for purchasing a new home. In your research you will find that Oklahoma City real estate is by far a better option. You have a great community, beautiful homes and great weather! Give the real estate agents at the Weber Home Team a call. 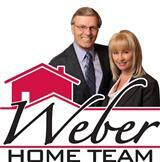 Dan and Janet from the Weber Home Team know Oklahoma City, OK real estate. When you want to find Oklahoma City homes for sale, real estate, condos, and properties in the Oklahoman City area, you need to make it a point to call the Weber Home Team first. You will get excellent customer service and you have all your all your questions answered quickly and professionally. Call Dan and Janet to find the home of your dreams in Oklahoma City, OK! You'll be glad you did. Oklahoma City is the capital of the state of Oklahoma and it is also the most populous city in the state. Land gently rolls in the hilly regions, covered in prairie grasses and wildflowers. The prairie and woodlands give way suddenly to the huge Oklahoma City metropolitan area. The interesting juxtaposition makes for a balanced life for all residents that call Oklahoma City their home. You have all the benefits of city life, and at the same time you have the fun and freedom of being near the beautiful outdoors. The Weber Team can help you with all your Oklahoma City home or real estate buying and selling needs! We can provide you with a market analysis on your home's value, free buying or selling tips and access to all the latest Oklahoma City houses for sale and Oklahoma City real estate on the market. Feel free to browse our Featured Listings or search the MLS to find your Oklahoma City and surrounding area home today! Call Dan and Janet at (405) 691-2556 or email them at weber2700@sbcglobal.net. They look forward to speaking with you soon!